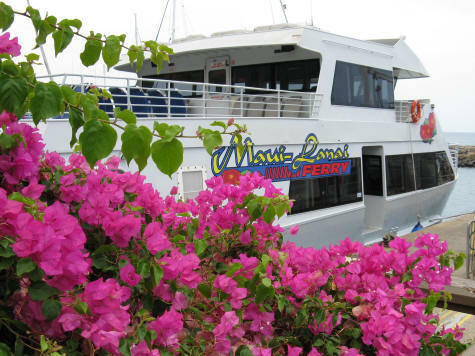 A ferry service operates between Lahaina, Maui to the islands of Molokai and Lanai. The return trip between Maui Hawaii and Lanai takes about 50 minutes (each direction) and costs about $40 return. The ferry between Maui and Molokai takes 75 minutes and costs about the same.